Posted on February 9, 2016 by admin in - WOW! 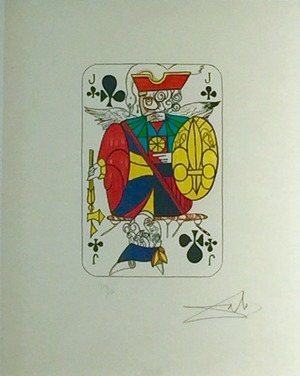 These wonderful Playing Cards are the lithographic version of the real decks Dali produced in 1967 with publisher Puiforcat, which are now extremely rare and difficult to find. Dalí created these designs for the Ace, King, Queen and Jack of each suit plus a Joker. 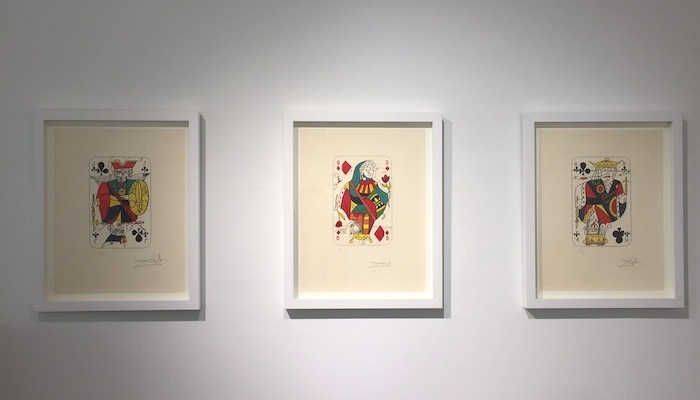 He composed his playing card figures out of geometric shapes, like a surrealist tapestry, but retaining the traditional aspects of playing cards design. 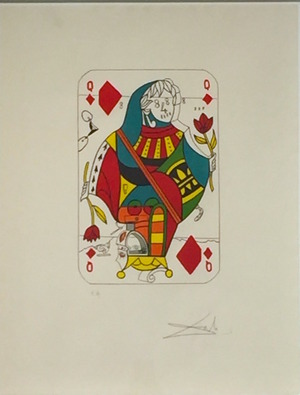 The Playing Cards contain most of Dali’s icons and are presented in a whimsical playful fashion. 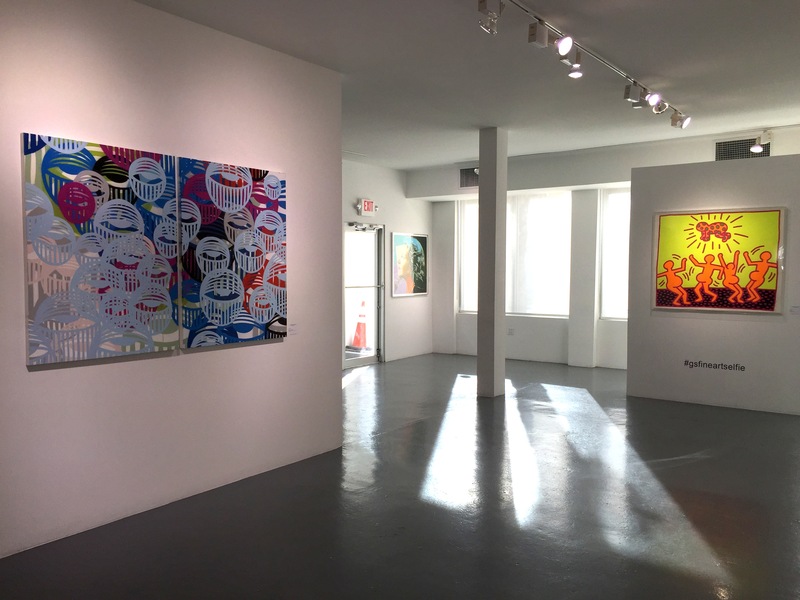 They have a great appeal because, like the melting clocks, the visual aspect and content are catchy and clever. They play upon a subject which we are all familiar with. Dali takes the familiar and makes it surreal. These cards are done masterfully and they are brilliantly arranged, offering a fantastic glimpse of Dali’s ultimate creative abilities. At first sight, the characters look like regular card figures, but looking closer it is evident that they are formed by several different objects – or partial objects. Among the pieces of the suite, we find an array of compositions, colors, traditional and non-traditional symbols. 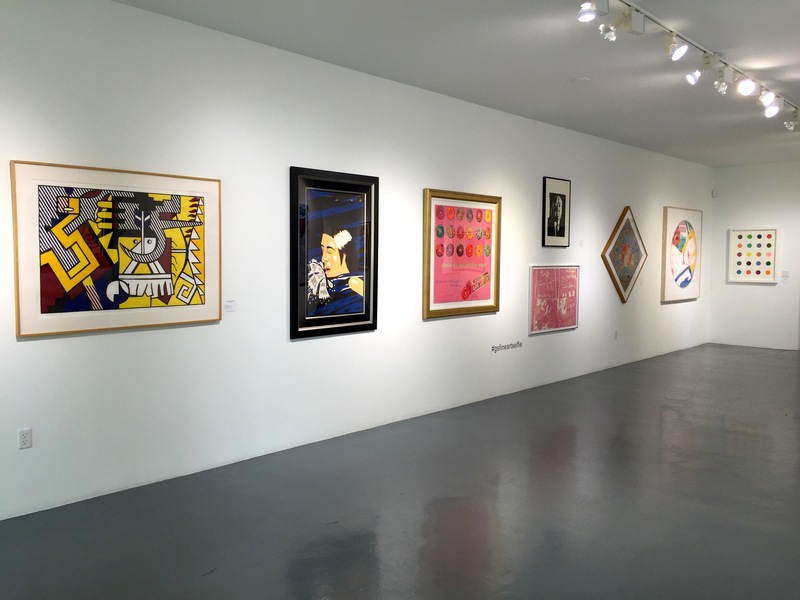 Each piece is like a puzzle that can only be put together by the greatest Surrealist of all time. 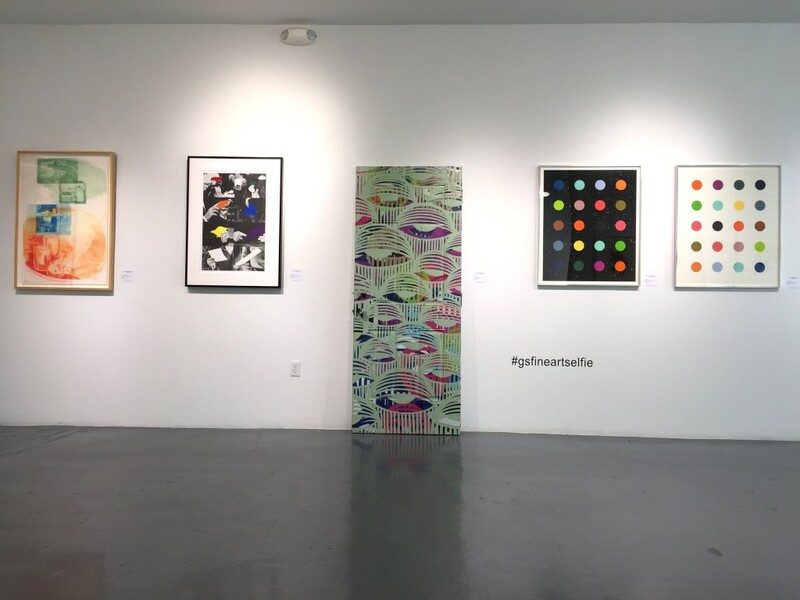 All the evident artistic references we can see in these lithographs are often intertwined with different unexpected meanings and hidden concepts. 25 3/4 x 20 in. 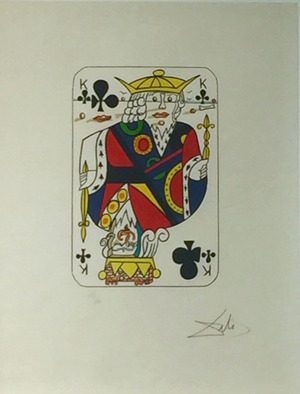 The Jack of Clubs has numerous surrealistic elements that define the meaning of “The Jack”. Throughout the history of playing cards, the Jack has always had a sexuality identity crisis. Often depicted as an unambiguously feminine male, Dali takes note of this and creates the Jack’s hat with a royal looking swan emerging from it, as well as a weeping eye. The shield and sword stand out boldly as to hide the femininity but Dali masterfully adds one of his most iconic surrealistic elements to further his point, the bread. “[Bread] has always been one of the oldest fetishistic and obsessive subjects in my work, the one to which I have remained the most faithful“. In his paintings, breads are most often an aspect of hard and phallic. The Clubs are often referred to intellect, literature and education. This explains the presence of inkwells. The King of Clubs is a king said to be one of great power but one who is not aware of this and is outwardly cheerful but inwardly reserved. Hence the bottom face is portrayed as a closed eyed-sleepy king. The top face is made of surrealistic elements of nature. Bones for a nose, rocks for eyes and birds for eyebrows. Another face can be seen to the left corner from the Club and lips. The Crown has a stone castle showing strenght and royality. Queen is painted with the classic colors of the iconic Maddalena, blue and red, and holds red roses, a classic symbol of beauty and femininity. The Queen of Diamonds, viewed in one direction, has an interesting nose, mouth, and set of eyes – all composed, appropriately enough, of numbers: 8’s constitute her eyes, her nose is a 4, and 8’s again form her mouth. Given his interest in alchemy and tarots, we are not able to exclude that Dali intentionally wanted to make a reference to the symbolism of numbers. The symbolism backing number Eight deals with continuation, repetition, eternity and cycles, while number Four invokes stability and the grounded nature of all things. Four is also half of Eight. Turn the card upside down, the Queen’s eyes and mouth will be transformed into what might be described as a Picasso-like composition. Dali often nodded to other artists he admired, and Picasso was definitely one of them. You’ll then notice a background figure of a girl skipping rope. This is a recurring, almost obsessive image in many Dali works, and it represents a reference to the famous illustrations he created for Lewis Carroll’s book “Alice In Wonderland“. It goes without saying that the artist made this reference in this particular card because one of the most important characters in the book is the Queen. In the end, the double images were a major part of Dalí’s “paranoia-critical method”, which he put forward in his 1935 essay “The Conquest of the Irrational“. He explained his process as a “spontaneous method of irrational understanding based upon the interpretative critical association of delirious phenomena“. Dalí used this method to bring forth the hallucinatory forms, double images and visual illusions that filled his paintings. The artist termed “critical paranoia” a state in which one could cultivate delusion while maintaining one’s sanity. Dalí’s career as a print maker lasted his entire life. 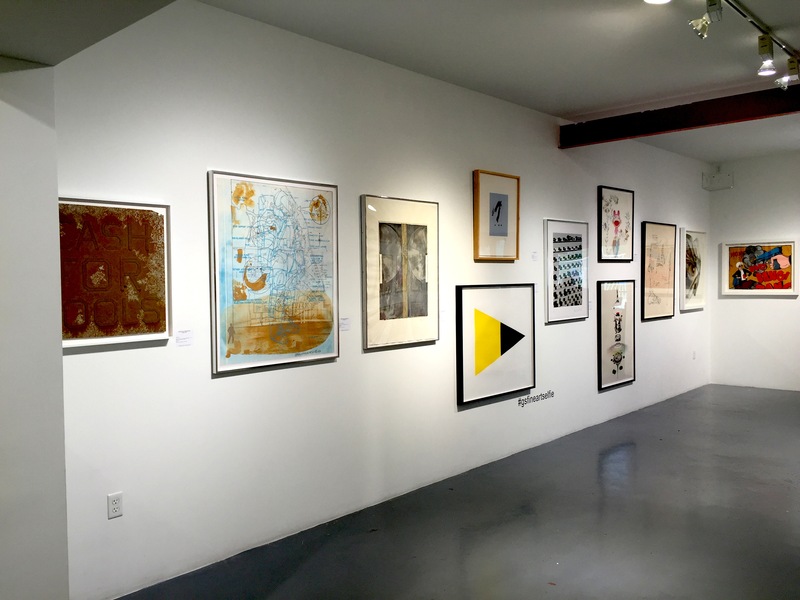 In these prints we find some of Dalí’s most accomplished icons and images, and some of his best use of his imagination.